8.6 x 6 x 1.2 in. We’re pleased to announce the release of our debut book title, Piecing Together Los Angeles: An Esther McCoy Reader. This much-anticipated volume is the first collection of writings by Esther McCoy (1904-1989), a keen literary stylist and attentive witness to the birth of midcentury modernist design. McCoy’s impressive writing life spanned sixty years and charted the progressive territory of American idealism. During the 1920s, she pursued her vocation as a writer and apprenticed with novelist Theodore Dreiser. In 1932, McCoy moved to Los Angeles where she wrote for literary journals, popular magazines and progressive broadsheets. Her short stories were awarded numerous prizes, featured in publications ranging from Harper’s Bazaar to The California Quarterly, and adapted for radio and television. After completing a wartime stint as an engineering draftsman at Douglas Aircraft, McCoy went to work as an architectural draftsman for R. M. Schindler. By 1945, her attentive writing had turned significantly to architecture and the design-driven optimism of postwar Los Angeles. Her essays appeared regularly in the Los Angeles Times, Arts & Architecture, Zodiac, Progressive Architecture, and Architectural Forum, and her 1960 book Five California Architects has long been acknowledged as an indispensable classic. 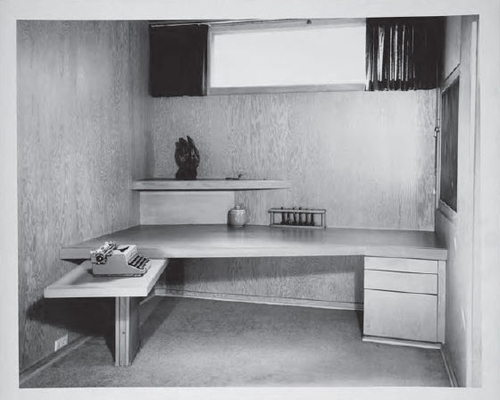 From fiction for The New Yorker to her seminal essays on new architectural forms, McCoy articulated the concepts and vibrant character of West Coast modernism as it was being created. This essential volume includes out-of-print essays, articles, and short stories, as well as hitherto unpublished lectures, correspondence, and memoirs that together illuminate the breadth and complexity of McCoy’s groundbreaking work. An introductory essay by writer and anthology editor Susan Morgan provides a lucid conceptual framework for understanding the development and diversity of McCoy’s writing and the region that inspired it. Piecing Together Los Angeles: An Esther McCoy Reader is expertly edited…the book does not just piece together Los Angeles, it also pieces together complex narratives of modernist architecture—its icons and places, its personalities and foibles, its polemics and ambitions—in Southern California, in the United States, and in the 20th Century. [McCoy] has long been a hero among students of modern architecture in southern California, a subject scarcely defined until she came along. … What has not yet been recognized, or at least not sufficiently recognized, is the subdued power of McCoy’s prose. Now, with the publication of Piecing Together Los Angeles: An Esther McCoy Reader, we can see deep into McCoy’s complex imagination. Susan Morgan is a Los Angeles-based writer and editor of Piecing Together Los Angeles: An Esther McCoy Reader (East of Borneo Books). She is currently at work on the first McCoy biography, A Modern Life. Her writing about art, design, and cultural biography has been featured in exhibition catalogues, artist monographs, and publications ranging from The New York Times to World of Interiors. With Thomas Lawson, she co-founded and co-edited REAL LIFE magazine, an alternative art publication produced throughout the 1980s. A former contributing editor for Interview, Mirabella, Elle, and Metropolitan Home, she currently serves as a contributing editor at Aperture and East of Borneo. With Kimberli Meyer, she co-curated the 2011 exhibition Sympathetic Seeing: Esther McCoy and the Heart of American Modernist Architecture and Design (MAK Center for Art and Architecture at the Schindler House). You can find her on Twitter at @AModernLife.